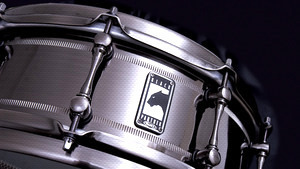 KitMonsters – Mapex Black Panther Snare. The music makers’ guide to making music. The Mapex Black Panther Snare series comes in a range of distinctive finishes including brass, steel, cherry, maple and walnut. 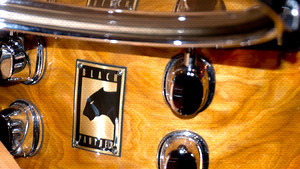 The snares are designed with Mapex Artists to really cut through the music, and each drum features hand built and hand finished Black Panther shells and pro-level hardware. They have stainless steel snare wires for a crisp lively action, and the Sonic Saver Hoop is designed for great resonance, enhancing the sound of rimshots, making the snare easier to tune and reducing wear and tear to sticks.